The appearance of this product is colorless to pale yellow viscous liquid. It is soluble in water. It has goodhydrolyticstability and high adaptability to PH value changes. It`s safe and non-toxic. Its freezing point is about -2.8℃, specific gravity is about 1.04/cm3 and decomposition temperature is 280-300℃. It`s polymeride AKD maturing agent of high charge density. Emulsion provides strong cationic component promotive and protective agent and promotes curing effect. This product is added directly into the synthesis process of intermediates or added a certain ratio in emulsion. This product can be added more in the papermaking system with heavier anionic trash, as the pulp potential equilibrium to play a dual role of sizing enhancement and forcing ripening. This product is applied in alkaline sizing system of AKD (Alkyl Ketene Dimer) to restrict largely the hydrolysis and migration aptitude of AKD. [The third generation" AKD is mainly used for the making of multipurpose duplicating paper filled by precipitated calcium carbonate. 60% cationic polymer can adhere to the fiber after the paper containing cationic polymer being reused, by which enhance hydrophobicity of the paper. Added to waste paper deinking agent, its cationic hydrophilic group adheres to ink particles easily, especially for hydrophobic aniline ink. After flotation, the whiteness of pulp increased. 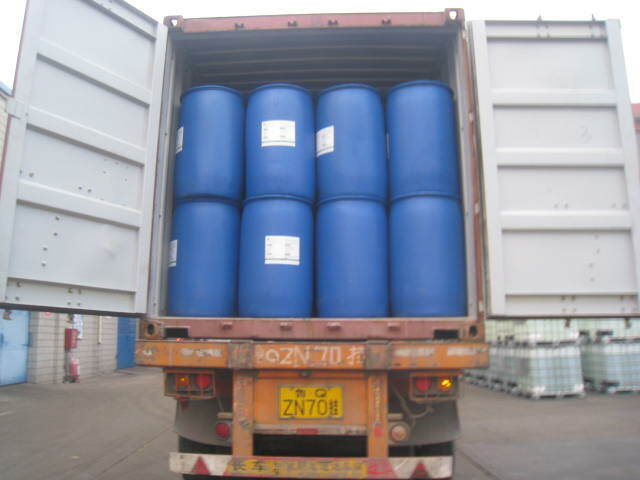 This product is also applied as cationic surfactant in pitch control agent for pulping. Looking for ideal Curing Agent Manufacturer & supplier ? We have a wide selection at great prices to help you get creative. All the Polydadmac are quality guaranteed. We are China Origin Factory of Paper Curing Agent. If you have any question, please feel free to contact us.